Events - SELF International, Inc.
It’s Bonnie Everts Birthday, the Co-Founder and Executive Director of SELF International, and she invites everyone to share some birthday cake with her and help celebrate the services which SELF brings to underserved students in our community. Please support SELF as we continue to offer new life options for our urban youth. With Gandhi Mahal's shared vision for creating a better community for all, they will donate 20% of their dine-in, take-out and on-line orders from 5 -10:00 PM March 19th. Below: Summer program participants grow their own watermelons and beans in a community garden. Above: SELF leads a field trip to Gandhi Mahal. Below: Students learn about bacteria and make yogurt. As gene editing techniques become more refined, the possibility of editing the human genome is moving from science fiction to reality. What should we do with this power? Join us in a Forum with Scientists who are leading this genome research. June 28, at El Colegio Charter School in South Minneapolis, 4137 Bloomington Avenue. Adults from all professions and backgrounds and high school students welcome. Registration begins at 5:30 Refreshments offered. The forum starts promptly at 6:00 PM and ends at 8:00 PM. 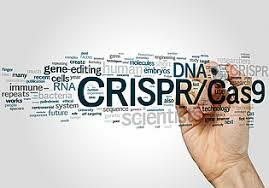 The title of the forum is “Editing our Evolution, Rewriting the Human Genome.” Scientists from the University of Minnesota will participate in a multidirectional conversations with the public about the subject of genome editing. They need to hear your thoughts, ideas and concerns. And, you need to know how this could affect you and your family in the near future. Everyone needs accurate information to make informed decisions about our future and our children’s futures. Reservations are appreciated. 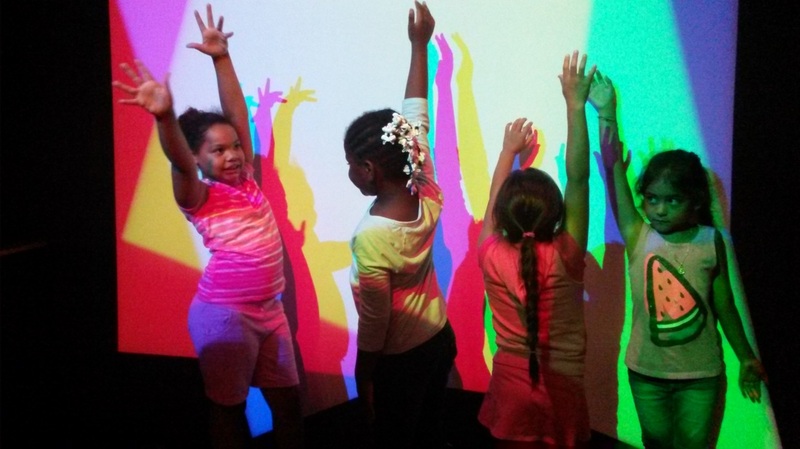 This project is led by the Museum of Science, Boston, is funded by the National Science Foundation, and is offered in Minnesota by SELF International. 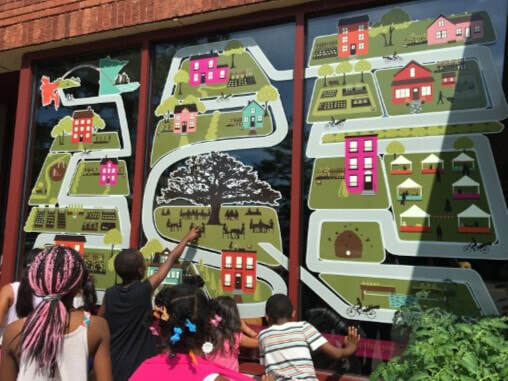 2017 TruStone Financial "Show us your neighborgood" Winner! TruStone Financial held a good neighbor contest in November and December. . The winner of the contest was awarded $1,100 for their charity. Thanks to all of you who voted for Bonnie. She won! Members of SELF's Board and our affiliate Boys and Girls Club were at TruStone Financial in Plymouth MN in January to receive the check. Thanks for all your support! With their shared vision for creating a better community for all, Gandhi Mahal will donate 20% of their dine-in, take-out and on-line orders from 5:00—10:00 PM on September 14, 2017, to SELF International for its dedicated service to under-represented children in the community. SELF delivers resources and experiences to underserved students in their out-of-school time to help them achieve greater success in school and realize a more equitable path toward academic and future career success. SELF International invites you to join with us at FLEX Academy on September 24 for an exciting day of discussion and exploration into Synthetic Biology and how it affects our lives. From 10:30 AM to 12:30 PM we will have an open workshop for families to do hands on experiments with DNA and gain new information about Synthetic Biology. From 1:00 PM – 2:30 PM, there will be an open forum where people from all walks of life can discuss the emerging science of synthetic biology with scientists. The forum is an opportunity for adults and older students to discuss the issues of synthetic biology more thoroughly. The title of our discussion will be “Engineering the Mosquito” as it relates to the control of infectious diseases like malaria. It is especially relevant as we see the Zika virus potentially affecting us in the US. Survey's from the forum participants will be professionally collected and combined with other data from Building with Biology events across the nation. Participants at our Building with Biology event can expect fun hands-on activities facilitated by scientists in the field of biology, synthetic biology, genetics, or other related science fields. Participants will design a “super organism” to solve a problem, extract DNA from wheat germ, and discuss which future technologies they’d support. These activities are designed to introduce guests to synthetic biology content and promote informal, two-way conversations between the scientists and participants about how synthetic biology is interconnected with our society. The Building with Biology event being held at FLEX Academy is part of a nationwide festival of educational programs designed to encourage conversations between the public and scientists. This exciting event provides an opportunity to learn about the emerging field of synthetic biology and talk with real scientists doing this work! 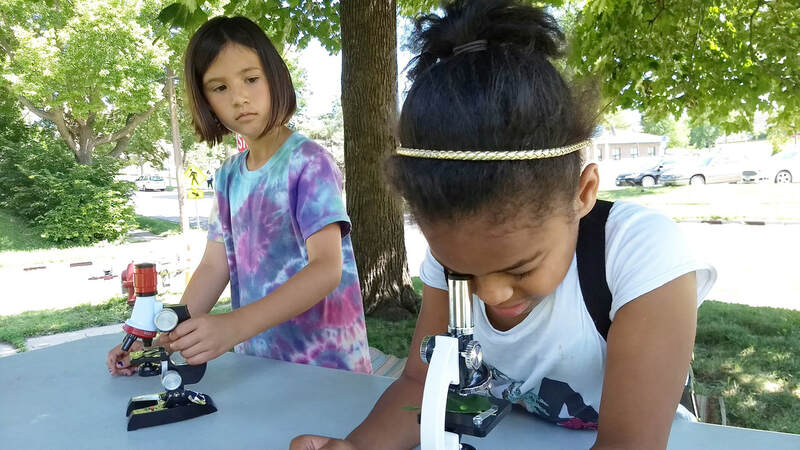 Summer participants of the Minneapolis Southside Boys and GIrls Club were introduced to Explore Science: Zoom Into Nano, an exciting cutting edge science project developed by NISE Net (National Informal STEM Education). Through experiments, hands-on activities, games, videos, and field trips students learned that things can behave very differently when they are very, very small and how this is affecting our lives every day. 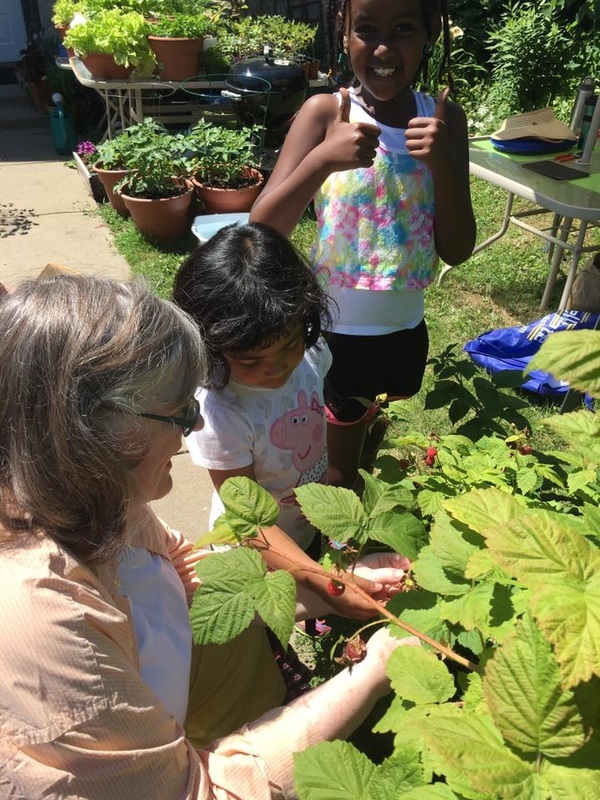 Left: Students pick raspberries at the SELF urban gardens. 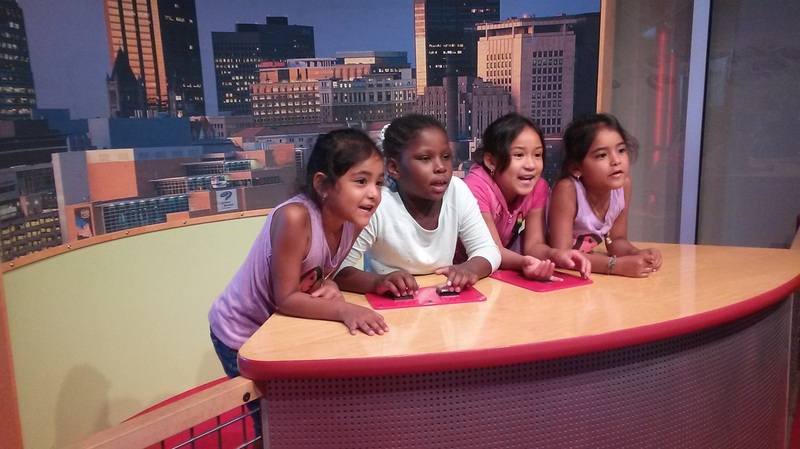 Center: The Science Museum is filled with fascinating facts and FUN! 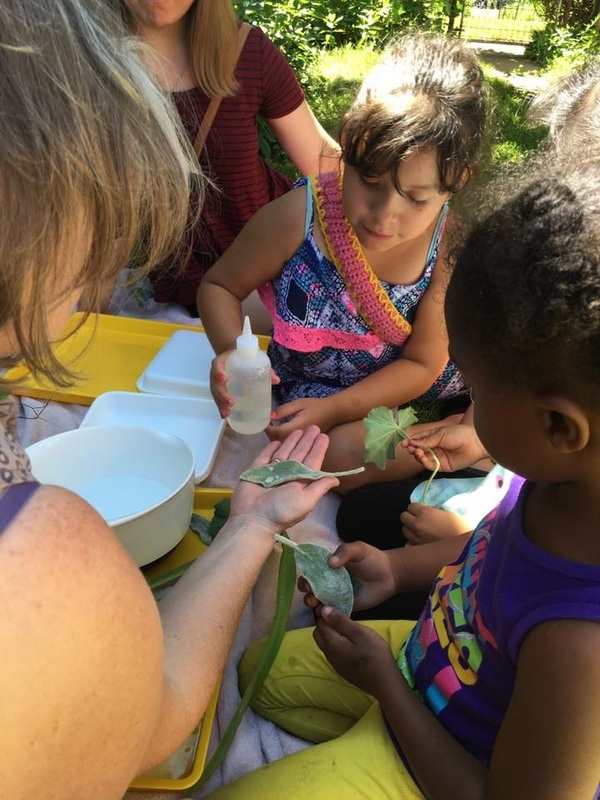 Right: Students learn how scientists develop hydrophobic fabric by studying leaves. ​STEAM - (Science, Technology, Engineering, Art, and Math). Visitors filed excitedly through the 24 stations of Nano hands-on activities at our 5th annual NanoDay event. They were exploring the concept of size, learning that Nano is very, very small… so small we can’t even see Nano-sized particles, however, we can see evidence of nano particles. Participants learned that things that small behave in surprising ways: that gold isn’t even gold when it’s nano-sized, and that nano particles can conduct electricity. Participants attended a game show, called “Would You Buy That.” They learned about the potential benefits or problems which nano products could pose for society and society’s responsibility for making good, informed decisions about those products. From kindergarteners to grandparents, everyone went home with more knowledge of Nano than they had known before their NanoDay Experience. This time we held our Nano event at FLEX Academy in Richfield, MN. We thank our hosts for their hospitality and help in making this a successful event. We also thank Buffalo Wild Wings for our visitor snacks, Kowalski’s for bottled water, Rainbow Foods for their contribution, and Sovereign Grounds for our coffee. Huge thanks go to our many volunteers who made the whole event possible! A family event for the whole community to see the new school and talk with teachers about the afterschool STEAM (Science, Technology, Engineering, Art, and Math) programs to be offered at FLEX by SELF International. There will be experiments, hands-on activities, games, and more. FUN for everyone! 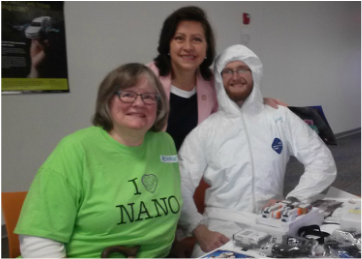 Take a look at some photos (link below) from our NanoDay 2015 which was part of the national NanoDays celebration sponsored by NISE Net, (Nanoscale Science Education Network) and funded by the National Science Foundation. We explored Graphene and re-created the 2010 Nobel Prize winning experiment. There were experiments in heat transfer, nano fabrics, thin films, and polarization. We discussed issues of nanoscience and nanotechnology in society and how it could affect our futures. Dr. James Marti from the University of the Minnesota Nanofabrication Center was our key note speaker. There were games, prizes, and food for all in the Nano cafe. Visitors of all ages were so engaged they could hardly believe it when it was time to leave. They left wanting even more, and that is what we had hoped; first, that all attendees would have FUN and, second, that they would want to expand their knowledge of Nanoscience. Once inside, follow the signs to our new location on the second floor. NanoDays from NISE Network on Vimeo. Our NanoDay celebration at Sabathani Community Center will bring the community together with university researchers and science educators to create new and unique learning experiences for both children and adults to explore the miniscule world of atoms, molecules, and nanoscale forces. The day’s activities combine fun hands-on activities with presentations on current research. A range of exciting Nano programs demonstrate the special and unexpected properties found at the nanoscale, examine tools used by nanoscientists, showcase nano materials with spectacular promise, and invite discussion of technology and society. For more information about Nano please visit: WhatIsNano? NanoDays 2014 - Another Huge Success! SELF concluded its third annual NanoDays celebration at Sabathani Community Center with the Horizon Youth program. The event was open to the whole community. Students with their parents, grandparents, aunts and uncles - participants of all ages - engaged in hands on activities in Nano Science and technology. There were science experiments and demonstrations, games, puzzles, videos, contests and prizes, food and exhibits with "hands on" experiments for everyone. Scientists from local universities demonstrated cutting edge scientific ideas and materials. SciGirls made a special appearance with their own presentation showing how girls have a place in science and engineering. WATCH for information about the 2015 NanoDays events throughout the cities. NanoDays is a weeklong, annual festival that engages people of all ages in nanoscale science, technology, and engineering. NanoDays events are organized locally by NISE Network partners and take place at over 300 science museums and universities across the country, from Puerto Rico to Alaska. NanoDays events can include hands-on activities, demonstrations, lectures, juggling shows, and more! SELF International works in collaboration with the Science Museum of Minnesota. If you have questions about Nano science and technology or would like to have a Nano program in your community, please click on “contact us” above and send us a message. During the 2013 Summer Program at Horizon Youth the students went on field trips to Compatible Technology International where they learned about engineering solutions for world harvest and food production in developing countries. 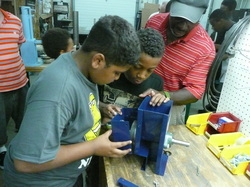 The students assembled food grinders developed by CTI. They also visited PAR Systems where they saw huge robotic equipment being developed to clean up Chernobyl, the site of a nuclear disaster. Students are discovering how engineers find solutions to the world's problems and develop new products to improve the quality of life. On April 6, students, families and friends gathered at Sabathani Community Center for the second annual NanoDays festival. They followed the footsteps into the world of Nano and explored the properties of size, invisibility, moving molecules, 3-D, thin films, hydrogel, carbon nanotubes, space elevators, and so much more. They played games of I SPY Nano, the Giant Puzzle, and Airzooka. A Lego Robotics demonstration heralded the up coming Lego Robotics after-school club. There was storytime for the youngest children and a wonderful explanation about Nano by Dr. James Marti from the Nano Fabrication Center at the University of Minnesota. GirlsInSTEM, an after school club at Horizons Youth Center, presented a self created power point presentation about why girls should consider going into science. Everyone enjoyed hot dogs, beverages, and lots of treats donated by Turtle Bread in South Minneapolis. The afternoon culminated with the making of Nano ice cream using liquid nitrogen with tastes for everyone. There was so much to do do and so much fun being had that people reluctantly left at the end of the day with hopes for next year. We are now bringing you 2013 NanoDay on April 6. Last year’s NanoDay was a huge success, and we have even more planned for this coming NanoDay celebration. It will be an all day event for the whole family with science experiments and demonstrations, games, puzzles, videos, contests and prizes, and food. There will exhibits with “hands on” experiments for everyone. Scientists from local universities and industry will be there to demonstrate cutting edge scientific ideas and materials. There will be information about jobs in science and how to be prepared for those jobs. This event will be held at Sabathani Community Center, 310 East 38th Street, Minneapolis, MN, on the third floor. The exhibits and demonstrations will be happening continually from 1:00 - 5:00 PM with special presentations and a drawing for prizes scheduled periodically throughout the afternoon. Refreshments will be served. If you have questions about the event or wish to register please click on “contact us” above and send us a message. SELF and Horizons Youth organized a field trip to the Science Museum of Minnesota for the Summer Science Nano Camp, 2012. It was an exciting day seeing two IMAX movies in the Onmitheater, discovering the secrets of DNA, more NanoScience, the bones of dinosaurs, principles of physics, the natural ecosystems of Minnesota, and so much MORE! More field trips are planned for 2013. 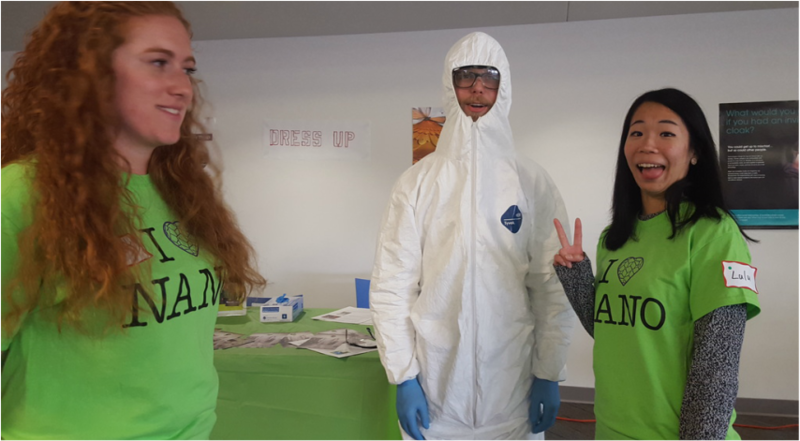 There was an exciting trip to the University of Minnesota’s Nanofabrication Center where students donned clean suits and entered the Clean Lab where Nano research is conducted. Dr. James Marti, NNIN External Relations coordinator, led the students on the tour of the lab. Members of the Nano Fabrication Center and the chemistry department conducted other interactive activities for the students throughout the afternoon. It was a great opportunity for the students to talk directly with scientists and learn more about what possibilities await them at the university. In 2012 SELF International held its first annual NanoDay at Sabathani Community Center. 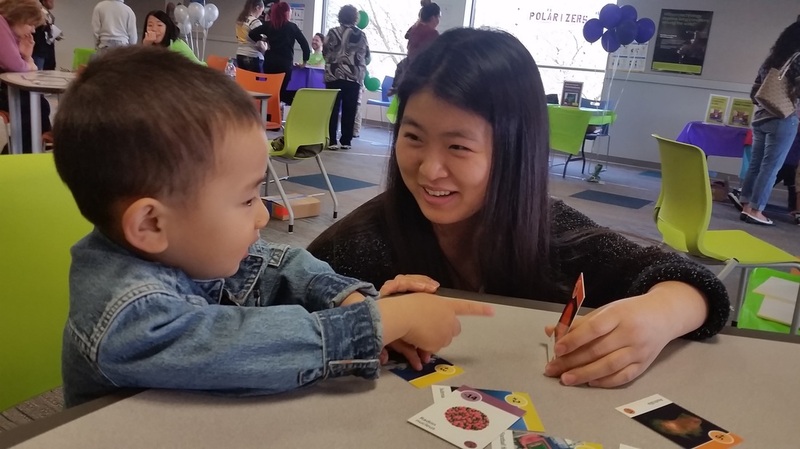 With the help of the Science Museum of Minnesota and the University of Minnesota Nano Fabrication Center, SELF International and Horizons Youth Program combined efforts to present a day long Nano event for students and their families. Other Minnesota organizations like Minnesota Renewable Energy Association and Soudan Underground Physics Lab made presentations. There was a drawing for prizes and young people received a certificate of completion and won prizes for finishing their goal cards. Local businesses supplied snacks and volunteers directed hands on activities and took registrations for future programs. We are always looking for volunteers to help with projects like this.